The kids and I had an afternoon to kill at home while Brett studied for a test earlier this week. We'd already gone for a wagon ride through the neighborhood, jumped on our neighbor's trampoline, read some books, made a mess at lunch time, and watched Pink Panther on Netflix. I decided it was time to introduce Ruby to the joys of water colors. 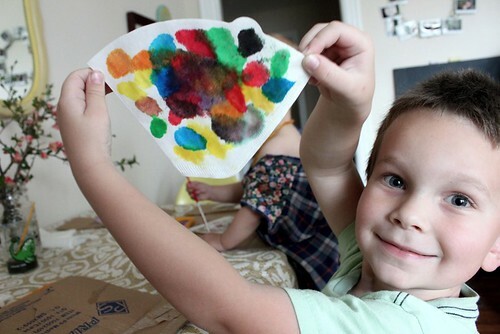 Sebastian isn't always up for crafting when I suggest a new project but he's always up for painting with water colors. He spent a good ten minutes working on his project this time, which is a good eight minutes longer than he used to. That made me happy. Ruby took to that paint set like it was an old hobby of hers. 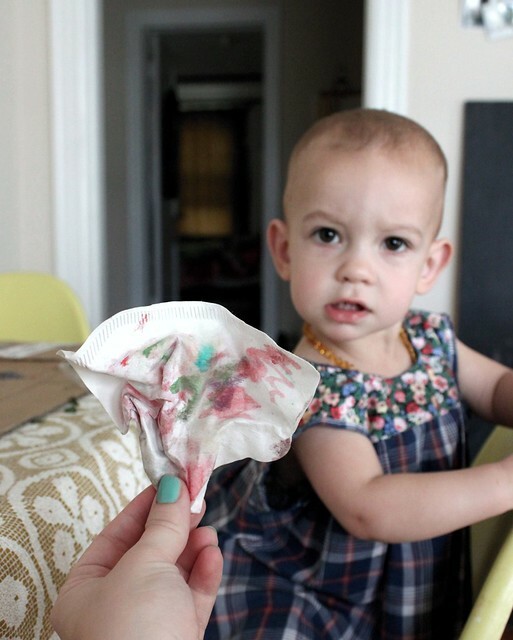 I did catch her trying to drink the dirty water, sucking the water off the brush, stealing her brother's paint brush, and painting on my arm but she lasted as long as Sebastian and ended up getting some color on her paper coffee filter. When we were through I had to wrestle it away for a pic. It was headed for her mouth. I may save it forever. Sebastian ended up with a stained glass effect which I thought was interesting. I wonder what this type of painting is supposed to tell me about my child. We got the popsicle sticks and pipe cleaners out of the craft box and made flowers out of the paper coffee filters. I have about a bajillion more from a garage sale that may turn into a garland one of these days. I need to remember to sit down with the paint sets more often. Ruby is much more interested in coloring than Sebastian ever was (or still is) at her age so it's been fun to encourage that in her. I never had to worry about marks on the walls with Sebastian, though. Thank goodness for Magic Erasers. Sebastian was so proud of his paper flower when he was done. It was a nice little break from sword fights, couch jumping, karate chops, and crashing block towers. Oh my goodness! 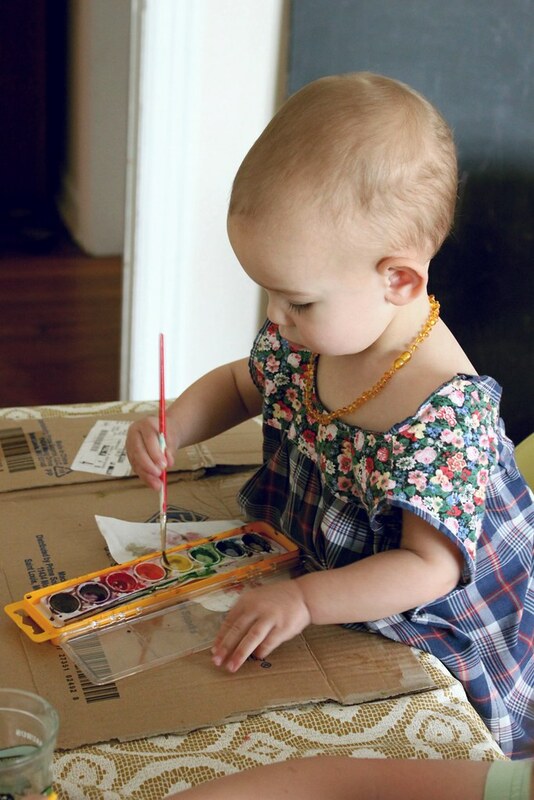 Those pictures of Ruby painting are the cutest! That is too precious! 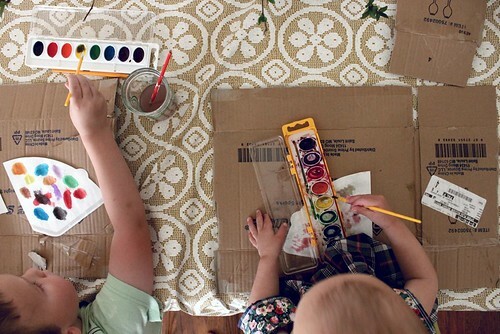 I am so going to try this with my niece. She just turned three and I always feel like she is a bit bored when she visits us. This made me want to go find a plastic watercolor set to play with myself. I forgot about that joy from childhood. Your kids are so cute! I'm experiencing the same thing- my 19 m.o. daughter is much more interested in coloring than either of my older boys were. Being an artist myself, I've tried so hard to encourage it, so I'm hoping she'll be my little artist! But her little picture are just pricless. Great to have an activity that they both enjoy! 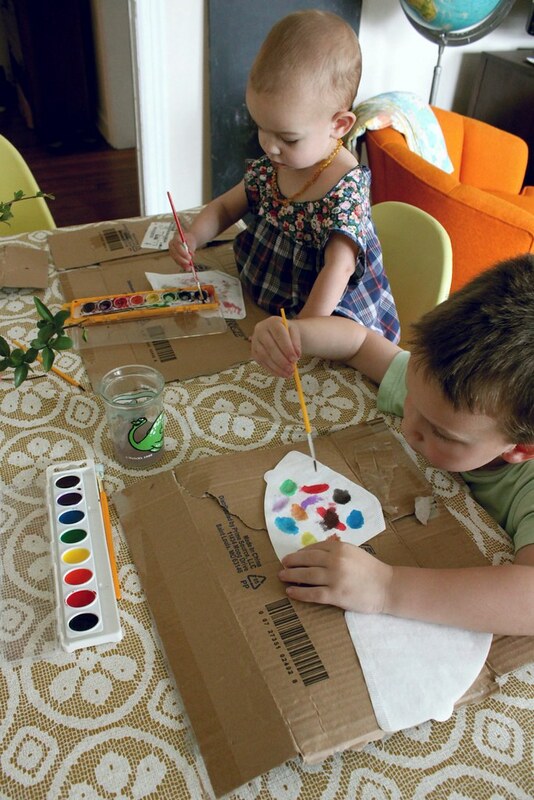 Love your pics of the kids as they explore their artistic side! I, too, enjoy doing crafts with my 8-year-old stepson, who discovered earlier this year that he enjoys creating cute scrapbooks and collages right along with me. 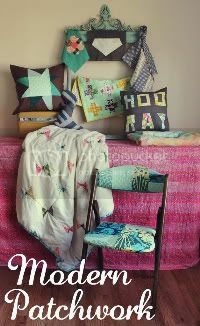 I wish my mom would have been a bit more crafty...perhaps I would've realized my own artful leanings at a much earlier age! So cute! Sebastian looks so proud and Ruby painting just looks the cutest! Oh, how fun! I love the flower idea! My 3-yr-old got a paint set for Christmas and I am ashamed that we haven't even cracked it open yet. Must do that next week! Aw! So fun, I love that you created them into flowers, that's a great idea! 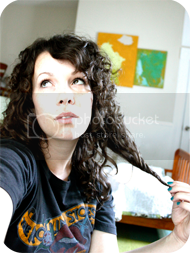 i love the way you photograph the little moments :) so lovely. Also, I think I need like four paint sets on hand because these two are going to use em up fast! So cute! And, you are very brave with the paints and the lovely tablecloth underneath! Really enjoy this time and it looks like you are~~my son used to love playdoh (yuck!! ), but we made alot of fun stuff with that and clay! 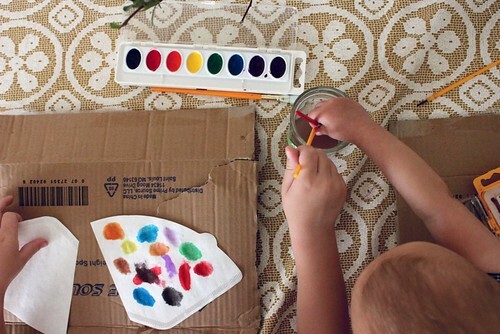 I love to do watercolors with kids, I once laid out a huge sheet and had the kids step in a paint pallette I set up and they made a great piece of "art" with their feet. We did that one outside with hose handy. Your children are simply beautiful! It's vinyl and one of my favorite thrifted finds to date! 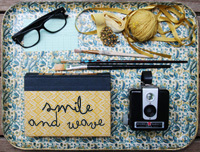 It doesn't get much better than pretty AND practical in my book! Fun! We love doing watercolors around here. Try the Waldorf Wet technique next time. The pictures come out amazing! He is very happy, content and stable. My little boy is Autistic and has his paintings (when he can do one) evaluated all the time. Elton's favourite colour is black (a favourite for most Autistic children) but he has started introducing colours into his work. Sabastian is painting over his entire paper. Elton used to put his drawings in the center of the page. Starting from the bottom means he is happy and he has a stable environment around him. I used to think that play was play and craft was craft....there is much more to this then I realised. That is SOOO cute! Ruby is a doll. Can't wait for my newborn to grow up and be able to play with her big sister. I think they'll be as far apart in years as Ruby and Sebastian. 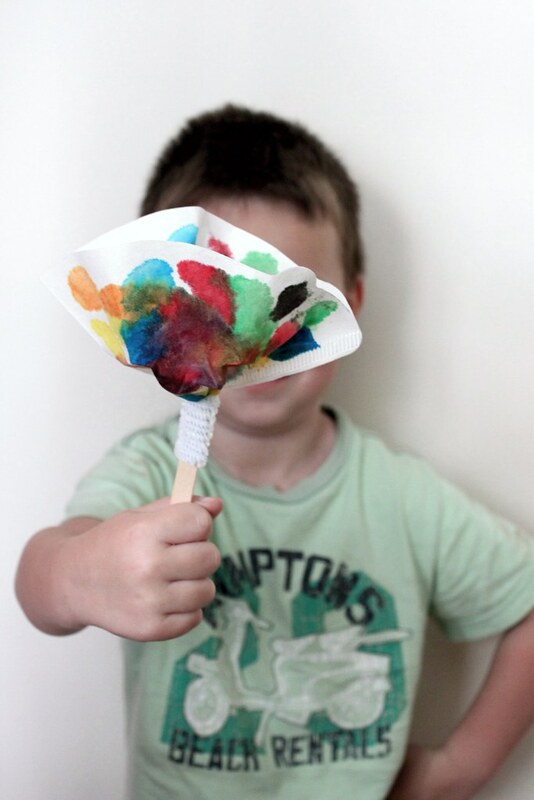 I love the coffee filter flower idea! My son (15 mos.) loves coloring, so we tried water colors but the dirty water was too interesting - he never did paint - maybe next month! Ha ha, Ruby's face is priceless! 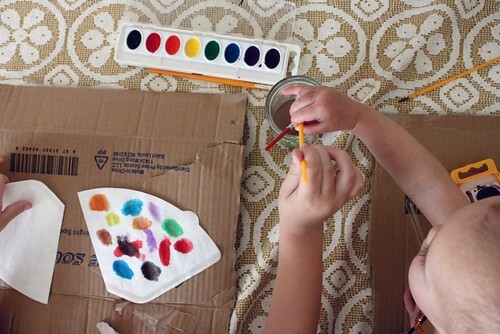 My isster and I both loved painting when we were kids, and my mum says she always dreaded it when we suggested it because she knew what a mess we'd make! he he - too cute!! :) Ruby looks like she loved it - til you didn't let her eat it, of course. he he. I love reading about the adventures along the way!